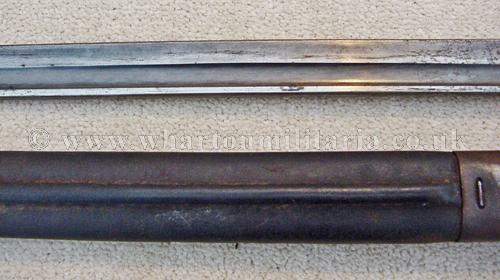 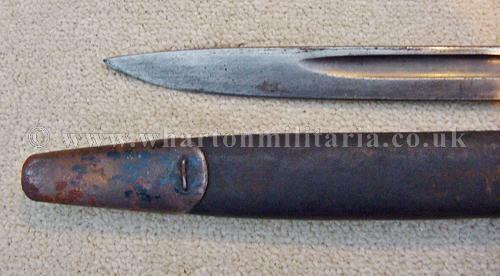 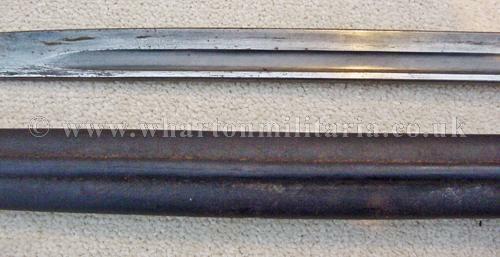 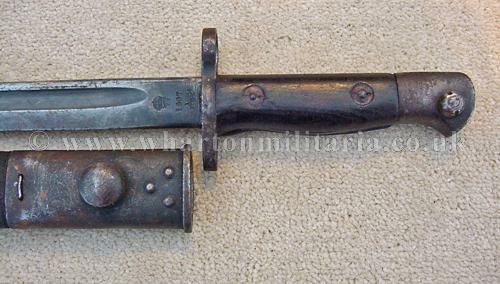 An excellent original WW1 1916 dated British 1907 pattern bayonet by EFD (Enfield). 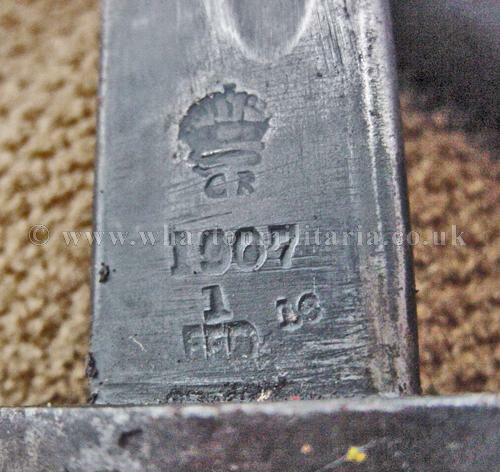 Blade is clean, marked at the ricasso with Crown 'GR' (George Rex), 1907 (pattern) and dated '1 16' (January 1916). 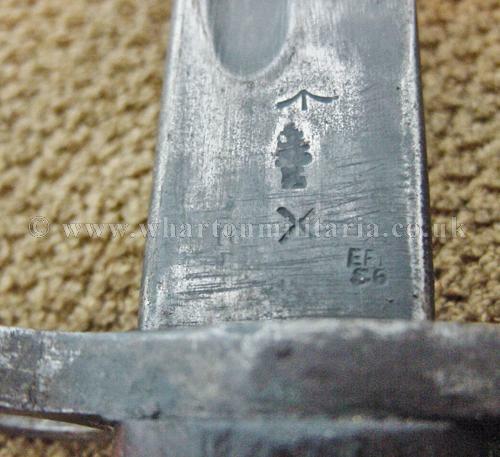 The reverse is stamped with inspection marks. 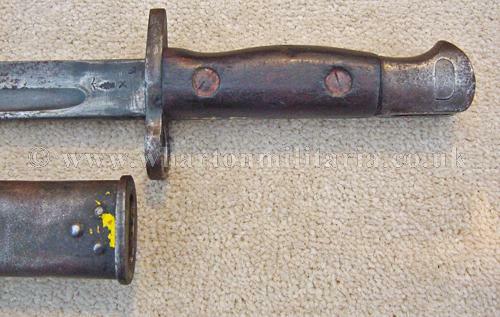 The wooden grips have usual age wear, the pommel is not stamped. 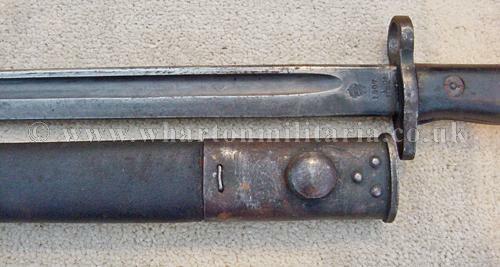 Bayonet is complete with its original leather scabbard. 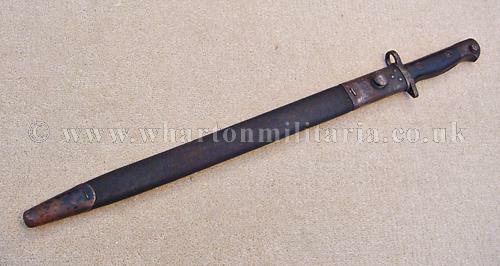 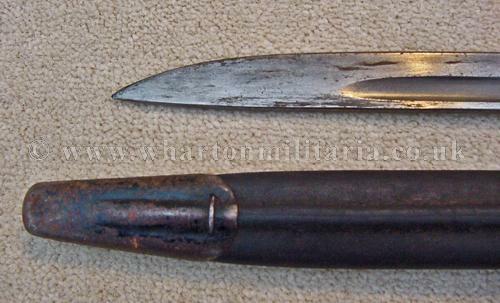 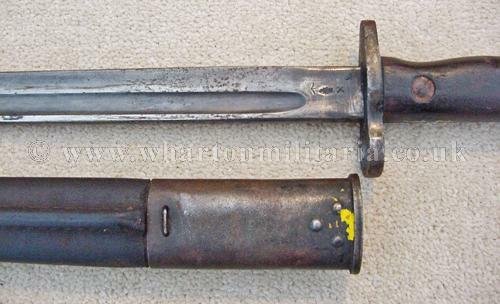 This is a good example of a WW1 1907 pattern bayonet.